Batman saves the Gotham and your money! Batman Rescues Gotham—And Your Change! 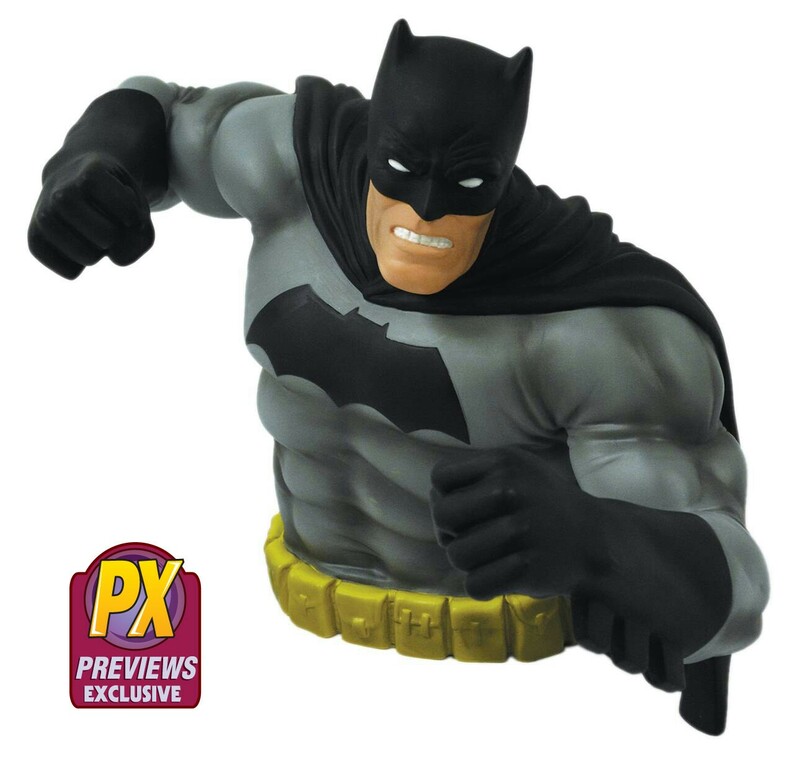 (BALTIMORE, MD) – (March 9, 2015)- Batman is here to save more than just his hometown with a March PREVIEWS exclusive, Batman bust banks! PREVIEWS and Monogram Products, Ltd. partner together to bring fans an easy way to keep their money safe with the blue and black editions of this larger than life Batman bank. Made of Vinyl, this impressive depiction of Batman from The Dark Knight Returns, stands at 6” tall and 9” wide. Through detailed precision, this exclusive sculpt of Batman would make an incredible collectible for any fan to showcase! The two different colored banks are available to order at comic book shops for a retail price of $19.99 using their individual item code from the March PREVIEWS Catalog. Fans are encouraged to pre-order their own Batman bank at their local comic book shop from the March PREVIEWS catalog to ensure they get it when it is released in May. Find a comic shop at www.comicshoplocator.com.